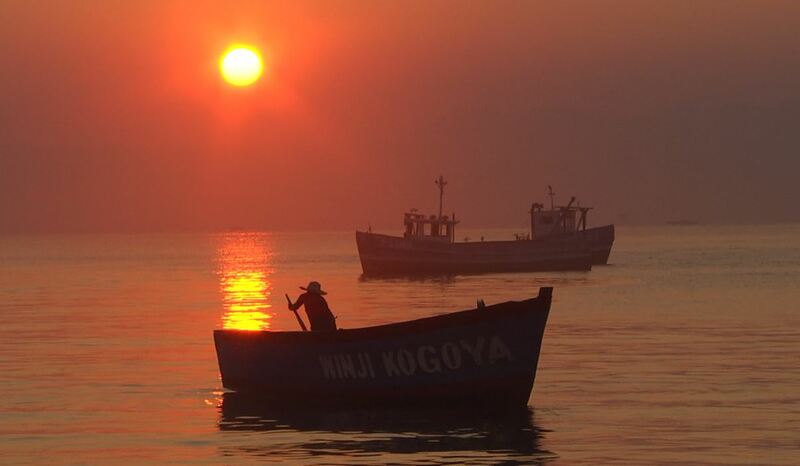 Early docking canoes and small engine boats are gathering at the beach in a fishing village of Makawa in Mangochi. Other dingy boats emerge from the distant waters as women, some weighed down with babies secured on their backs, quietly and patiently wait for the morning catches. Perched on canoes’ and boats’ stern and bow seats, fishermen endowed with good corporeality are already preparing for night returns to the inner lake, refusing to fasten on suggestions that they should slow down as most fish species are breeding. “We have come up with more advanced fishing gear like sharp lightings which attract even young fish,” Francis Longwe, who has lived off the lake for over 20 years, brags. Longwe’s own acts, like those of many others stuck with this trade, are wiping fish out of this Africa’s third largest fresh water lake and every tiring, drawn-out voyage on the lake produces less and less catches. Two decades ago, they used to return to the shore, without wearing themselves out on the trips, with impressive boatloads which are now like gold dust as advanced fishing tackle continues to do the damage. From a distance, more canoes and boats, their hulls painted with both fast and dull colours, are approaching the beach, slowing down over sandbanks, to a place teeming with the young and the old. And the sun has barely risen. It is an 87 percent decline, but on average, things are worse. Most fishermen are bringing to the shoreline catches over 90 percent less than what their boats used to carry two decades ago. On this day, the cold is biting on the beach strip stretching down to the receding waterline now crawling with children. Off the waters, some are stuck between sparkly sand dunes making fires to keep them warm as they wait for damaged fish—which is their daily slice. “Less fish is coming here. This also means less of it is damaged,” a boy, who could be around 10 years, grumbles as he scampers around the sandy beach with his contemporaries. 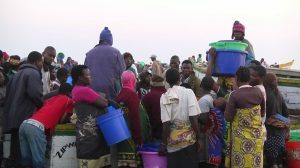 Between 1990 and 2010, two years after a national census put Malawi’s population at 13 million, fish stocks in the country declined by up to 93 percent according to anecdotal reports from locals. The situation keeps worsening. With about 20 percent of the total area that makes the country covered by water, supporting over 800 fish species and nearly 15 percent of the world’s freshwater fish biodiversity, the capture fisheries sector must have been less left to ruin. 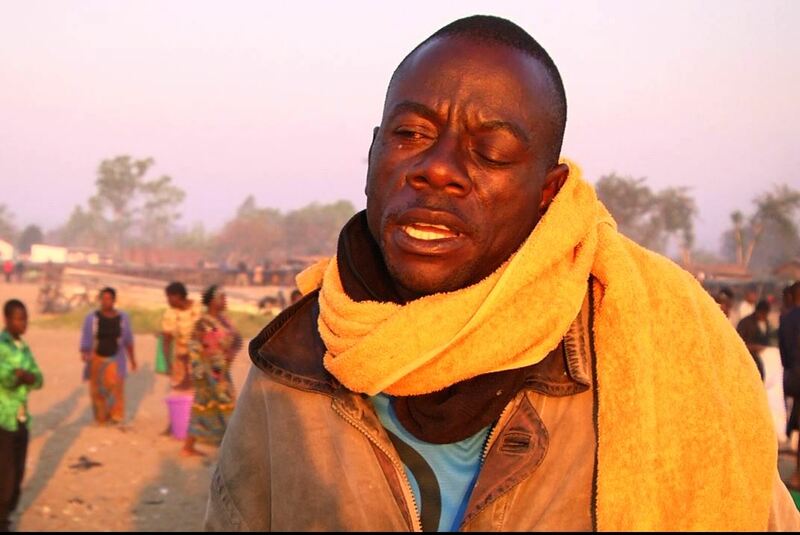 “The future is bleak but that is the only future we have,” Ali Khethi, a short and stocky member of Makawa Beach Village Committee, complains as he gazes at drained women who are scuttling for what to buy. More of them—some on the breadline—are hurrying along short-stalked lakeshore brushwood to the shifting sands of the beach to buy fish for the day’s lunch, even supper. They have to endure long talks with choleric fishermen whose worries are playing out on the shore by fish hawkers. “If you don’t want to buy my fish, go elsewhere,” a fisherman shouts from the thwart of his boat, warning a vendor against coming near his catch. They are physically and mentally fatigued but this is their trade. They do not have immediate alternatives despite that the dwindling stocks are heralding a catastrophe. In 2002, fish had a beach value of about K1.5 billion and contributed about four percent to Gross Domestic Product and the industry used to support nearly 1.6 million people in lakeshore communities. But as Khethi fears, if nothing is done to solve the problems the sector is facing now, poverty will brutally hit them. It is already looming large. “Fishing is no longer how it used to be. Some people are employing advanced ways of catching fish but they are not working. Fish stocks are dwindling because of the same advanced technologies,” Kheti narrates tellingly. The fishermen at this settlement know what needs to happen to temper the worsening situation. Mere lulling sentiments from authorities are hopeless. “It becomes difficult to control the kind of equipment that we use because everyone wants to catch more. Authorities have left everything in our hands and it is not working,” Khethi laments. He reckons that in the past, fisheries department officials closely monitored closed fishing seasons and areas, the minimum takeable size of fish, maximum headline length of fishing nets and the licensing of fishing gear. While the supply of fish per capita has also steadily fallen due to high population growth against declining production, failure to control fishing practices comes out as authorities’ worst undoing. A fish vendor, Tamara Mpumula, is also worried that fishermen are left to ply their trade without considering familiar struggles which are further compounded by changes in climatic conditions. “Advanced equipment like trawlers are being used to wipe fish out of the lake. They go anywhere on the lake and no one seems to care,” Mpumula whines. And the problems are not limited to this ninth largest lake in the world which is also Africa’s second deepest. Rivers that were once shored by branchy trees are gradually drying up because the vegetation has been cleared and authorities watch with indifference. Yet the fisheries department proudly claims its mission is to promote sustainable fisheries production and development by fisher folk by providing conducive framework conditions and excellent services to achieve food and nutrition security. But, for lakeside communities in Mangochi, and other parts of the country where the effects of dwindling fish stocks continue to rear their ugly heads, the department is drastically failing to develop, protect and conserve the national fish heritage. They will dare you that the next day you visit them, you will still watch crafts such as fish traps operated from the dugout canoes and seine nets operated from the planked boats powered by outboard motors doing the worst damage ever.